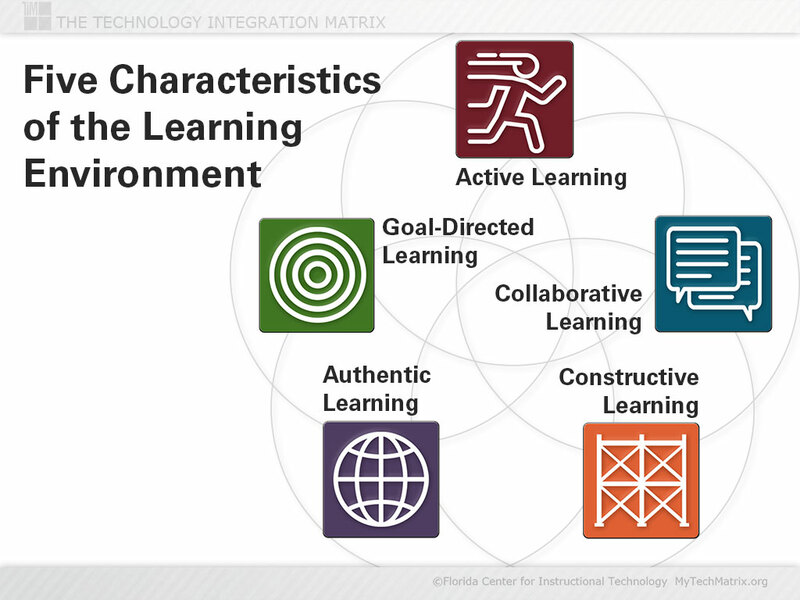 Presentation slide with labeled icons representing five characteristics of a meaningful learning environment. The characteristics are arranged over a pattern of overlapping circles to emphasize that the characteristics are interdependent. The five characteristics are: Active Learning, Collaborative Learning, Constructive Learning, Authentic Learning, and Goal-Directed Learning. This slide is suitable for introducing the Technology Integration Matrix in professional development or pre-service education. The slide is also available in versions without the labels so the presenter can create a “build” effect.